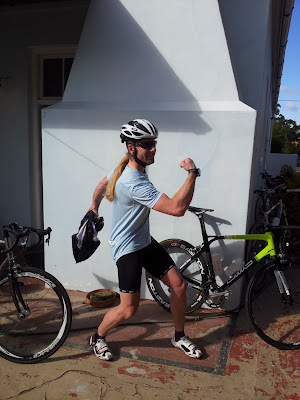 Team Sky might have popularised the term "marginal gains" in cycling circles, but there was no way that our rag-tag team consisting of triathletes, mountain bikers and race snakes had the time or the patience to apply the principal. 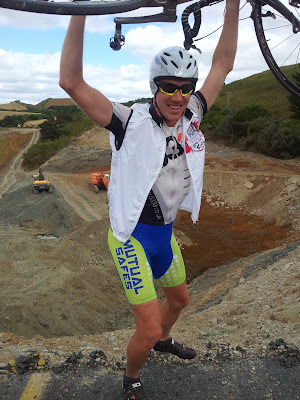 After the almost year we had last year we opted for the lesser known program of "monumental advancement" and found ourselves two professional bike riders and a top notch sponsor. We're not talking local South African professionals and all the baggage that comes along with them, we're talking real professionals. Professionals who have Cav's phone number on speed dial, who can name the climbs of the Giro d'Italia in order of meters climbed, and have their own Wikipedia pages. Enter the Downing brothers - Dean and Russell. Along with entries like The Critérium International, An Post Rás and the Giro d'Italia on their palmarès, Russell won the Fun Ride World Champs (aka The Argus) in 2005. These were guys that we could use. The rest of the team remained mostly the same - Hector (The Hulk), Chris (The Quiet One), Jarryd (The Kid), Craig (The Captain), Warren (The Village Person), Trevor (The Beast), Andy (The Silver Bullet) and myself. We also welcomed back Zayin (The IT Guy). Apart from the Downing brothers, our only new recruits were Lance (The Legolas Look-alike) and Jason (The Portable Pit Crew). 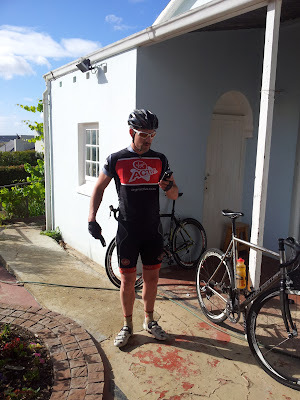 To complete the look, Captain Craig had used his connections and got HotChillee on board as the team sponsor. 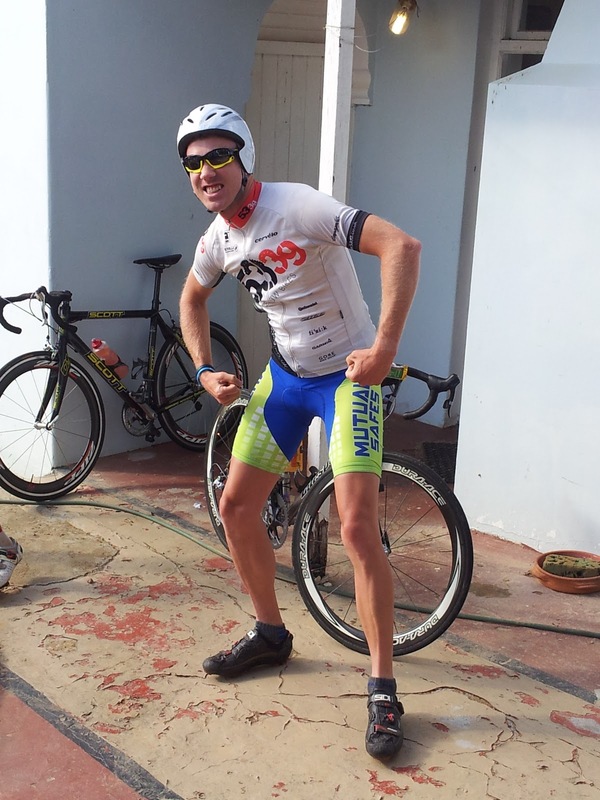 Not only would we ride fast with our pro's, we would look fast as well. And in a last minute surprise, The Beast produced a well stocked packet of PowerBar goodies which the team disseminated like vultures around a carcass. Three monumental advancement tick boxes ticked. The team meeting the night before the race was a chaotic affair. 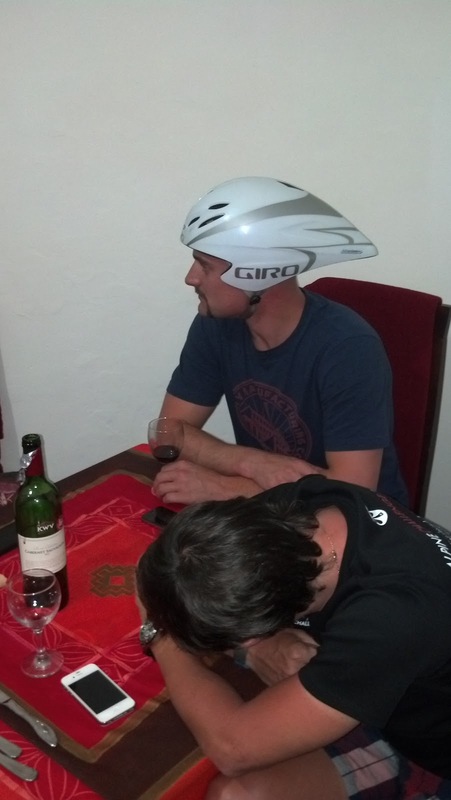 The race strategy got more and more complicated and outlandish as the beer and wine flowed and by the time dinner was finished no one really knew what the plan was. As I understood it, the strategy was to ride as fast as possible to the neutral feed zone at 110kms, have some snacks and a leg stretch, and then ride as fast as possible to the finish. Nothing like a simple plan. I just hoped we had the legs to convert the plan into action. Team HotChillee were allocated a 6h58 start time although I don't think many people slept past 5h30. There was a sense of excitement and nervousness filling the air, amongst the various other noxious gasses and smells swirling around the guest house. This was our year, the year we'd show the local racing scene what our unlikely looking team was made of. 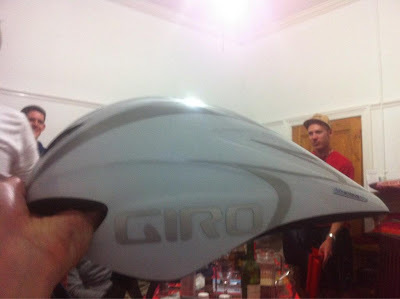 As we made our way to the start line, I was forced to confront my fear of Andy's time trial helmet - the helmet that had single handedly scarred my psyche so badly and put me in a place I never wanted to find myself in ever again the previous year. And this year there was another helmet of death. Talk about desensitisation therapy. Standing on the start line, our rag-tag collection each went through their pre-race start line routine - some guys get quiet and introspective, others obsessively check and recheck their equipment, while others spend an inappropriate amount of time inside the porta-loo's. 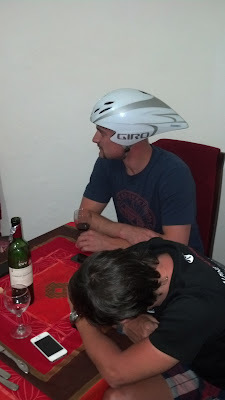 Each of us trying to get into the zone for the sufferfest that lay ahead. As if riding 205kms in a straight stripe huddled over your handlebars at 35km/h for just under 6 hours isn't tough enough, Mother Nature decided to get in on the mix with some of the worst weather the Double Century has ever seen. Gusting winds, rain, and hail - not what you'd expect in summer in the Cape. Lance led us off from the gun and proceeded to put each and every amateur member of Team HotChillee into the hurt box. We were flying along at speeds of 50km/h through the streets of Swellendam, bouncing over speed bumps and slicing around corners. 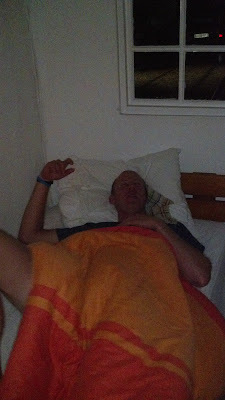 It was around about now that I had my first thought of bailing - the guest house was only a couple of kilometres away. I could be back in bed in 10 minutes. Just as suddenly and as violently as the speed began, so it ended. Lightning Lance went from being on the front one second, to being out the back the next. I only realised that we were down to 11 HotChilleeans about twenty minutes later. The next hour proceeded rather uneventfully, if riding along at an average of 45km/h can be called uneventful. Dean and Russell were already showing their class and had slotted into our way of doing things, just a little bit better. Where the amateurs were taking one to two minute turns on the front, the Downings would do anything from five to eight minutes on the front, always with a smile, and always at a pace the rest of us could keep up with. As soon as the climbing started we lost Zayin, leaving just 10 riders and 150 kilometres to go. We were starting to look like Team FrostyFresno as I had recollections of last year's race. The Downing brothers might have raced through some of the most beautiful scenery in Europe, flanked by cycling mad tifosi, but I doubt they've ever ridden up climb as scenic as the Tradouw Pass with only baboons looking on in bemusement. At the top of the pass we took the left turn towards Montegu, and into the howling wind that we'd been dreading for the previous week. We slowly inched our way to the top of Op de Tradouw pass as we huddled together, dodging branches, livestock and compact European cars that were being whipped passed us by the gale force winds. And just when we thought it couldn't get any worse, it started raining. 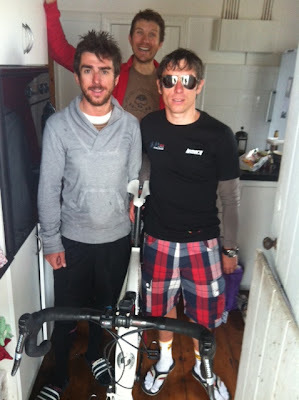 Our rented pro's seemed to be having a ball - it was like a summer's day in the UK for them, but for the rest of us the weather was as terrifying as Captain Craig's moustache. It was around this time that The Beast had his near death experience. I was lurking at the back of our little chain gang going down a particularly fast hill in the pouring rain when I saw a Downing brother quickly shoot out of the line to the right, revealing The Beast in the process of negotiating the biggest speed wobble I have ever seen. It was more like the Earth below The Beast had given up under his power and was wobbling all over the place like a bowl of jelly. The Beast claimed to have the faces of his kids flash before his eyes, and was quite prepared for the monstrous crash we all thought was coming, but somehow he convinced the Earth to return to it's usual orbital rotation and averted the crisis. To be perfectly honest - I think I saw the faces of The Beast's kids - it was that bad. To make matters worse, I think we lost Chris The Quiet Guy in this incident too. He's so quiet that it's difficult to be sure - he could have been missing for half an hour and we'd never have known. 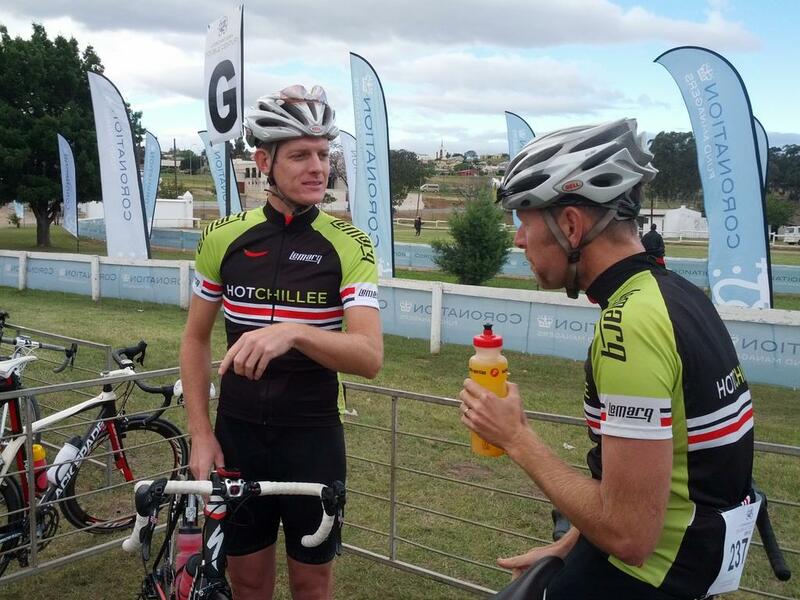 It was another mundane 30kms before Team HotChillee had some excitement again. In the blink of an eye, our pace line disintegrated and there were 6 guys up ahead, and Captain Craig, Warren The Village Person and myself off the back. I wasn't too bothered as it wasn't long and we'd be at the checkpoint where we'd be able to regroup but Warren miscounted and thought there were only 5 riders up ahead. I was rather puzzled when he took it upon himself to cross the gap, donating a kidney in the process. His disappointment on recounting later must have cracked him mentally, when we next saw him at the check point he was a quivering wreck. Captian Craig and I rode a steady tempo into the checkpoint and rejoined the team as they grazed on snacks and stretched their legs as Jason, our backup driver, looked on. The Beast was adamant that we have some of his raisins, and given his size, no one refused. The Downing's were looking calm, relaxed and comfortable, while the rest of us were wondering how we were going to survive the next 90kms. Twenty minutes later and Team HotChillee left the feed zone with 11 riders - our next target being the circle at Robertson, and more importantly the welcome tailwind that it would bring. The Downing brothers were champs on this next section - sitting on the front, tapping out a tempo that had the rest of us fighting for wheels, and still had enough energy to give Robbie Hunter a jibe or two as we stormed passed him. I was sitting in 7th wheel in the pace line, revelling in the security of knowing that I was safely nestled in the middle of Team HotChillee. Until I looked over my shoulder and saw nothing. Five minutes after leaving the check point and and we were looking like Team Not-So-HotChillee. I had flashbacks of last year's race where we'd been in a similar promising position until we ran out of riders. We had 70kms to go and just 7 riders, but at least we had a tail wind. I gave Jarryd The Kid the sign that I was watching him - he was not going to pull a sneaky on me this year. I was starting to take strain with the increased pace, and my calves felt like they were the new residence for a family of mice. I could feel them running up and down under my skin, making nests and burrowing tunnels. My stomach was also acting up - it felt like a witch's cauldron slowly bubbling away, filled with energy bars, gels, coke and The Beast's raisins. 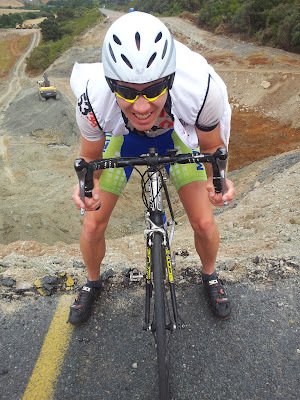 With 50kms to go I silently threw in the towel, sat up, and watched the remaining HotChilleeans disappear off up ahead. And then something funny happened, in the 5 minutes that I'd taken it easy for, the mice had packed their bags and left, the cauldron had settled down and I felt quite good. So I chased. And I chased. On my own. Back to my team. With some directeur sportif like encouragement from the team car I got back onto our bunch. I knew the good legs wouldn't last, and so made it my mission the get The Beast of the several small rises that lay ahead, along with Dean and Russell. That's a bicycle, not a farm gate. Well, not a big farm gate. The mice did return from their vacation just as we crested the last of the small hills, and although Captain Craig did his best to keep me in touch with the rest of the team, I was done. With 25kms to go I threw out my parachute, waved good bye and called the team car over for some juice. If I thought my legs were in a bad state, seeing Warren hobble and stumble as his legs cramped up gave me a good laugh. And he'd been sitting in the car for 2 hours. I stopped for some life giving coke, had a chat with the water point marshal and set off on my way, wheel sucking a team like my life depended on it. And then it happened again. My legs came back. I waved good bye to my new best friends, and with the wind now firmly behind me flew up the last little climbs like they weren't even speed bumps in my way, finishing 4 minutes behind my team. 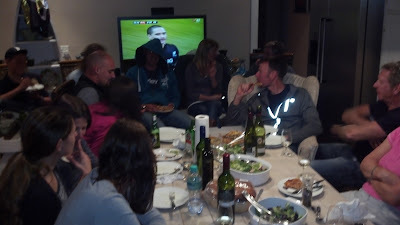 Post race pizza, champage and analysis with The Dirty Dozen, the 6th all women's team. Oh, and a boring rugby game blaring away in the background. 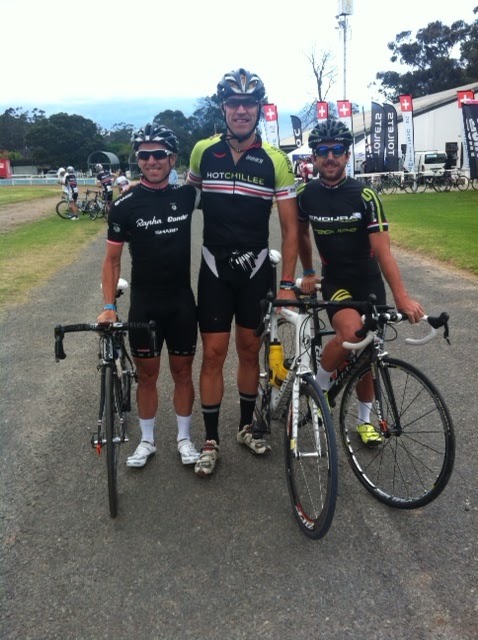 Team HotChillee finished 4th in a time of 5h42, living up to the start line announcer's dark horse tag. The rag-tag collection of riders had beaten several of the more fancied teams and at the same time had fun. Dean and Russell are consummate professionals, and great guys. Our local pro's and pro wannabees could certainly take a leaf out of their book. As is customary, we finished off the weekend with an easy ride on Sunday, racing up hills, flying down dales and generally just messing about, before enjoying a hearty breakfast and then making the long trip back to reality. You can bet your bottom dollar that we'll be back again next year to give it our all, to have fun, and enjoy the time out on our bikes. Who knows - perhaps that elusive podium place is within our grasp. Someone call The Style Guy!